My day began with a lovely drive through the Presidio, a park and former military base located in the northen part of San Francisco. I was looking for the San Francisco Interfaith Council, where I would be meeting with Executive Director, Michael Pappas. 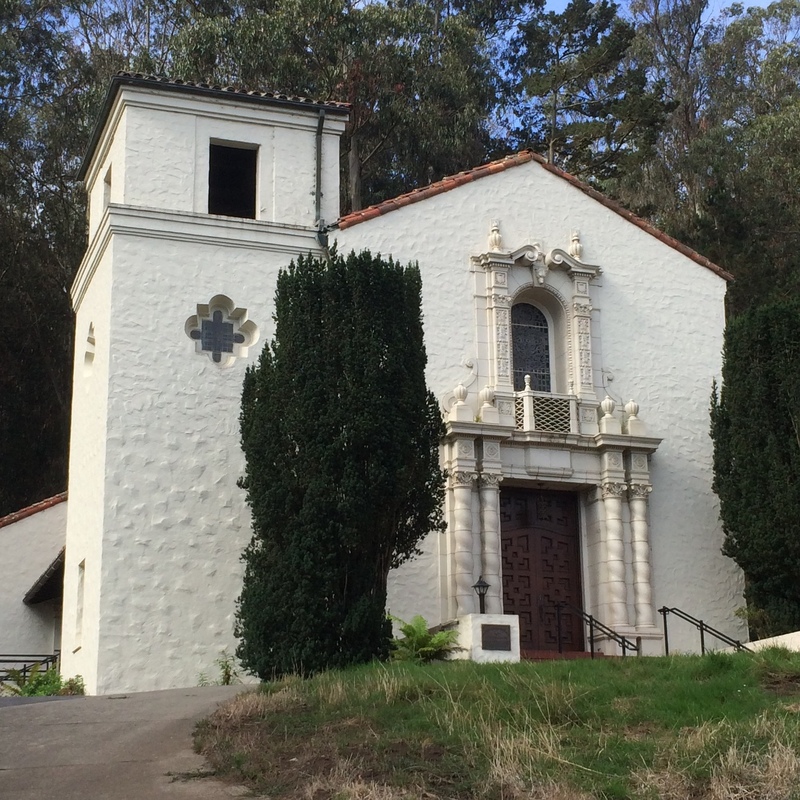 What I didn’t know was that the SFIC is housed inside the historic Presidio Chapel. 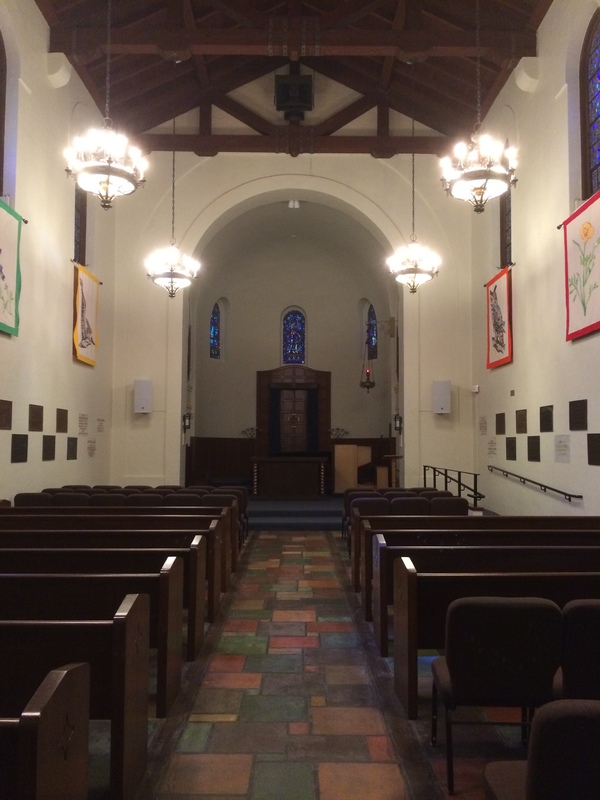 The chapel was built in 1931 by the U.S. Army and although it was originally used as a Protestant chapel it later became a space of interfaith worship. Today, the SFIC has its offices in the lower level of the chapel. Michael Pappas, a former Greek Orthodox priest, has been the executive director of the council for seven years. The council’s list of accomplishments, initiatives and projects undertaken since Pappas assumed leadership is many pages long. He is a very busy man and I’m most grateful he made time to visit with me. 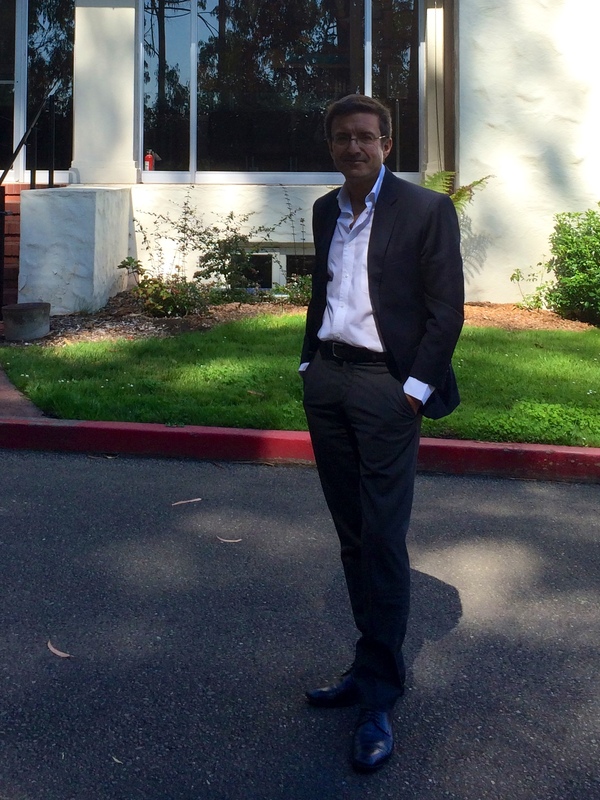 “People define themselves through crisis,” Pappas explained, “The council was formed as the result of two crises; homelessness and the Loma Prieta earthquake.” As with other interfaith organizations, the SFIC is concerned primarily with building relationships and being of service to the community. He tells me about the important role faith communities play in times of great need. He mentions, for instance, that when Katrina struck New Orleans, the faith communities jumped into action even before FEMA arrived, and after FEMA left it was again the faith communities who remained to serve. On the tenth anniversary of 9/11, the SFIC served as a primary convener for the city. Some 15,000 lay people and faith leaders from all major religious traditions gathered to observe this most significant commemoration. Pappas recounts how the invocation was offered by a Muslim woman, a very significant moment and no small feat. And he adds that these kinds of events are possible as the result of the relationships the council has been cultivating for over a couple of decades now. During my time with him I learned that Bahá’í Faith unites all religions and holds them all to be equally true. As the pamphlet explains, there is one Light (God) and many Lamps (religions). The accompanying illustration presents a succession of prophets, Krishna, Moses, Buddha, Jesus, Muhammad, Bahá’u’lláh; all emanating from the same source. “I am all of those religions in order to call myself a Bahá’í,” says Yen. But I learn that Bahá’í is not simply an amalgamation of all the faiths that came before it. It’s not a religious potpourri as one might mistakenly think. Bahá’u’lláh received revelation from God and he was a very prolific writer. Yen explains with much excitement that Bahá’ís can access the words of Bahá’u’lláh directly as he himself wrote them. During a pilgrimage to the Bahá’í World Center in Haifa, Yen was able to see for himself the manuscripts. He describes the beautiful calligraphy and the sense of awe that overwhelmed him. There are many volumes of scripture written by Bahá’u’lláh, some are prayers, others are directions for worship and life, others are revelation. 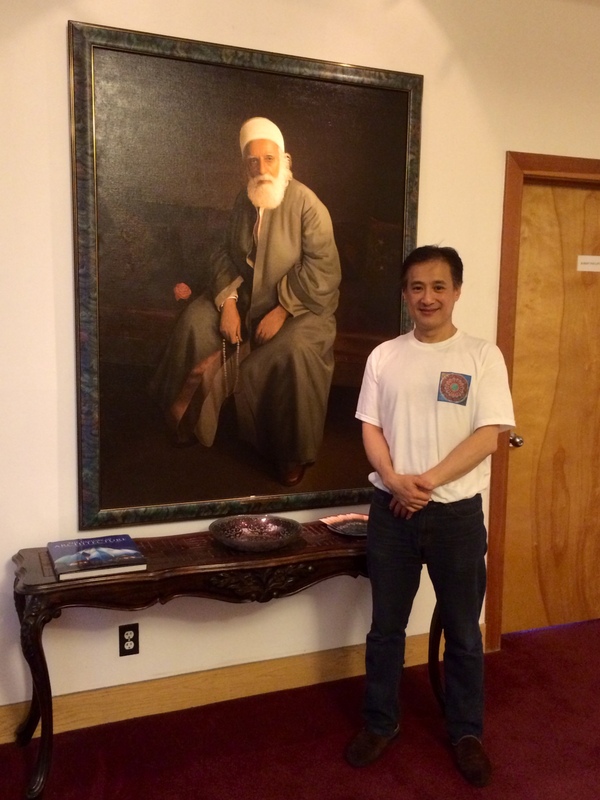 Michael Yen, Administrative Assistant to the Spiritual Assembly, stands next to a portrait of `Abdu’l-Bahá (son and successor of Bahá’u’lláh. Sometime around 3:00 pm I arrived at The Mill, a remarkable specimen of the new wave of coffeeshops (mason jars, pour overs, hipster aesthetic, you know). I was there to meet Josh Sisco, who is the pastor at Golden City Church. I had just enough time while I waited to make up my mind: I was most definitely getting a slice of toast with homemade Nutella to go with my single origin coffee. Oh yeah. Josh arrived, ordered an iced coffee and by the time we sat down I already knew he was not your typical pastor. He is young, 26 to be exact, and he has the looks and charisma of a super hip rock star. He began to tell me his story about growing up in a suburban California and deeply involved in the Calvary Church movement. Young as he may be, Josh has seen his share of conflict and disillusionment, but he never lost hope or faith. He shares a quote someone shared with him, “Experience is the best teacher, but it doesn’t have to be your experience.” What this means for him is that throughout his life and preparation for ministry, he has been able to learn from the experiences of others as well as his own. And he has learned a lot. “Calvary is a good model for the suburbs,” he tells me. But he believes that in order to meet the needs of urban citizens, the church has to find new models. When his parents came to Christ and made Calvary Chapel their home church, they also decided to move to the suburbs as a safe and wholesome place to raise a family. But that was then, and today, Josh disagrees with the notion that one should avoid the perceived wickedness of the cities. “My parents escaped the city and I ran to the city,” he says. His calling is clearly one for the city. He’s concerned about the fact that his generation and future generations will have no legacy. “Everybody is a transplant,” he says and then he jokingly challenges me to find a true San Franciscan. Josh himself is not a San Franciscan. 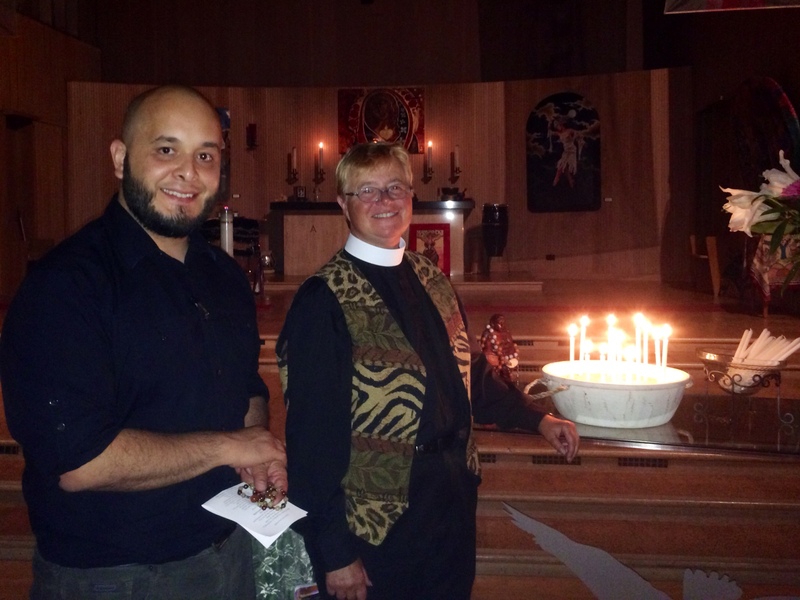 He and his wife came to the city to assume the leadership of Calvary Chapel’s San Francisco church plant. And, while he remains loyal and committed to Calvary, one of the first things he did was change the name of the church. He tells me he didn’t want to send a message that this church was a sort of franchise (Calvary Chapel is a network of churches based out of Costa Mesa, California). 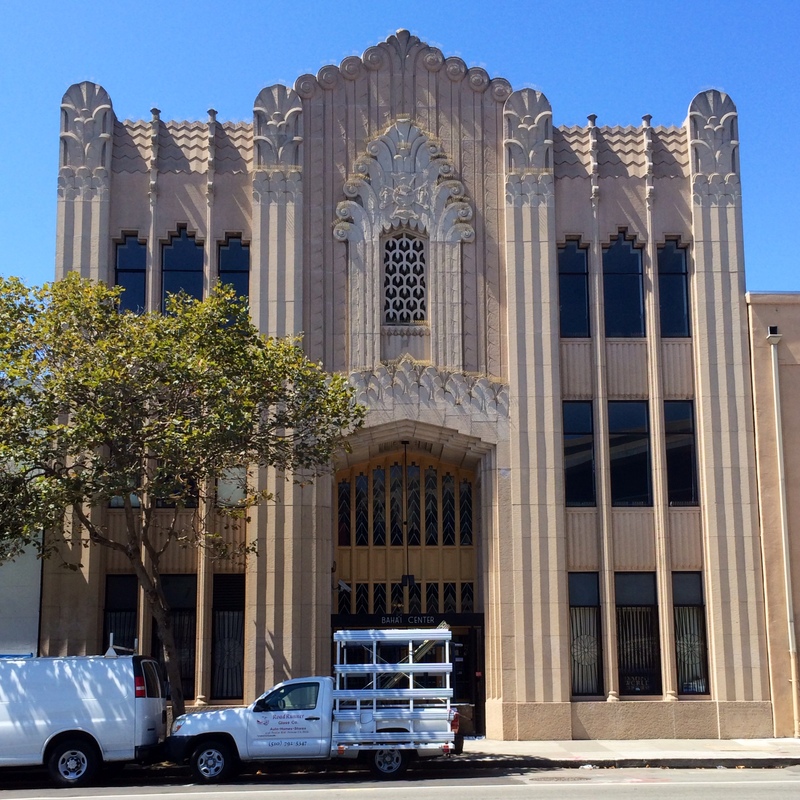 Golden City Church is decidedly a San Francisco church. As such, Josh dreams of a city in which people stay and create legacies. It is a difficult thing to imagine when San Francisco is overrun by the tech industry and the transiency of its employees. But Josh remains hopeful. “Community” has become a bit of a buzzword when it comes to the new wave of Christianity. But it is important to understand why community is central to this new approach to theology and ministry. Josh describes it in generational terms, “The Boomers were high on commitment and low on community. Millenials are low on commitment and high on community.” I ask what he means by that and he explains that the suburban church model of the previous generation worked well with people who were willing to support the church financially even if they were not as involved. Today’s generation, by contrast, is more interested in belonging to a network of people in whom they can find a support system, not just on Sunday mornings in church, but throughout the week, at work, in the neighborhood and at the coffee shop. I find this very interesting, it harkens back to the notion of the early church. “I don’t want to be a cool church, I don’t want to be famous. I’ve seen what that does,” Josh tells me. He is well aware of the hipster image and the assumptions people make based on it. 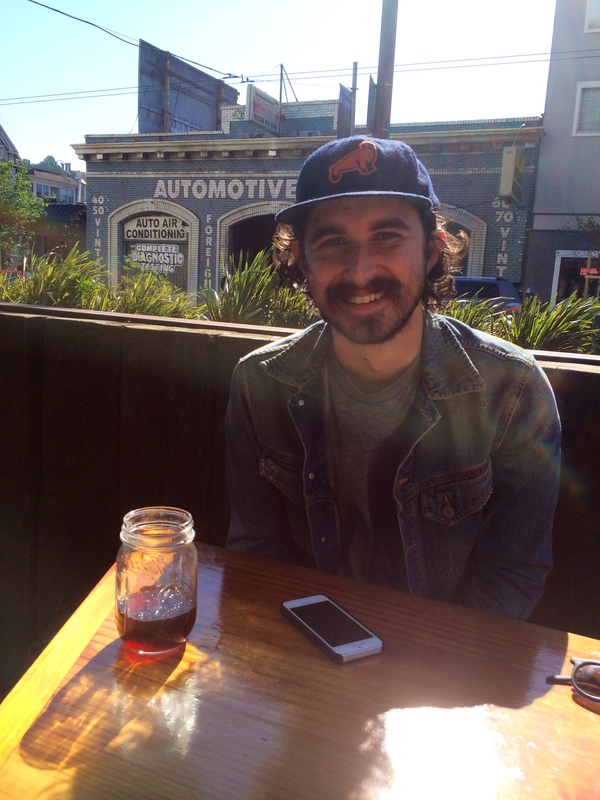 With his bushy mustache, flappy hair and mason jar in hand, he fits the bill. “Just look at hipsters,” he exclaims, “most hipsters are Christian.” As I look around this hipster haven of a coffee shop, I realized I’ve never felt so square in my life. We can have fun at the expense of that hipster aesthetic, but the truth is that behind that image lies a driving desire for authenticity. This new wave of Christians are weary of labels, they’re not impressed by jumbotrons and Starbucks in the pews. They are hungry for real connections with those in their communities and their faith is very much centered around that yearning. “We probably have sixty people on a good Sunday, if the wind is blowing just right,” Josh tells me. But that is perfectly fine for that. Josh represents a Christian demographic that feels lost in the megachurch. They’re much more interested in quality than quantity. It doesn’t matter that there are only six or eight people at his Thursday night group; what matters is that the difficult discussions and questions they have in this group will directly impact the sermon he delivers on Sunday morning. And when he delivers that sermon, his congregation won’t have to wonder whether it speaks to them; they know it does. They were there to help shape it. Questions keep conversations going; they are an engine of progress and change. And in San Francisco there is another faith of Christianity that has asked a very difficult yet simple question: what about the feminine aspect of the divine? Earth-based religions have venerated the feminine divine for millenia, but as far as Abrahamic religions are concerned, God has been understood and spoken of almost exclusively in masculine terms. Herchurch (a Lutheran church also known by its original name, Ebenezer) has taken on as its mission “to embody and voice the prophetic wisdom and word of the Divine Feminine, to uplift the values of compassion, creativity and care for the earth and one another.” I happened upon Herchurch as I was driving to Redwood Tuesday night. 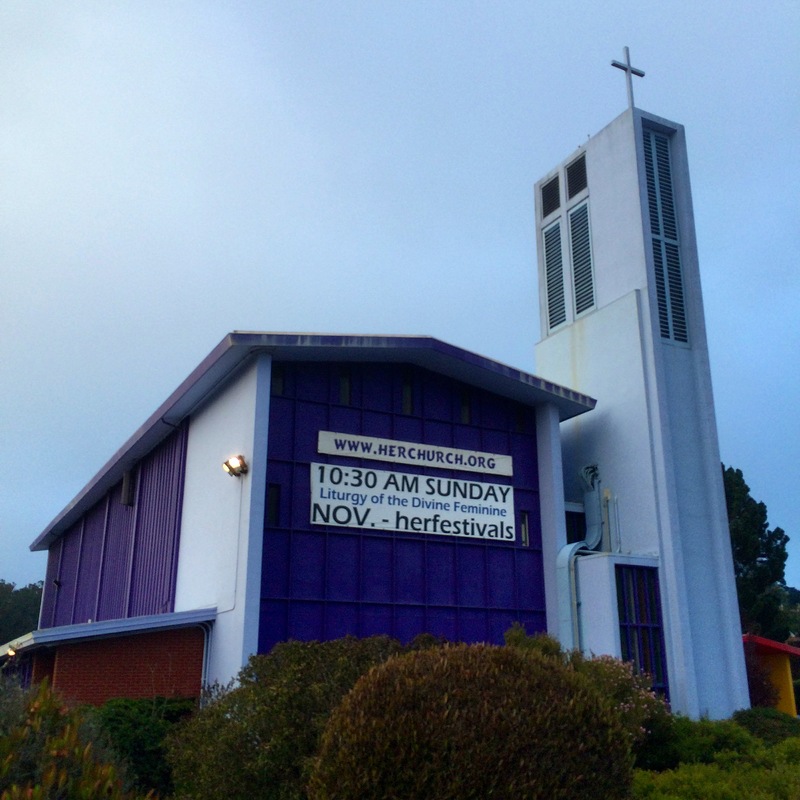 The purple church is hard to miss and on its side hangs a large banner announcing Goddess Rosary, Wednesdays at 7:00. 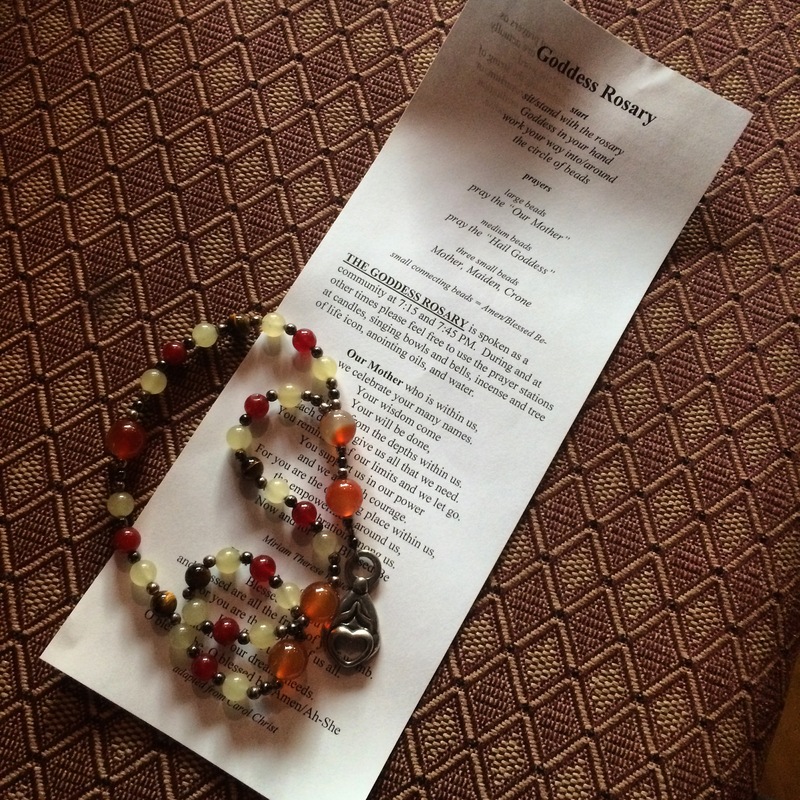 I figured this was something I had to experience for myself, I haven’t heard of any Goddess Rosaries taking place in Kansas City! I arrived a few minutes early and was immediately greeted by a couple of parishioners. A few minutes later, Pastor Stacy Boorn welcomed me to the church and invited me to have some organic, gluten-free, tomato soup. We talked for a minute about my project and she invited me to look around the church and take as many pictures as I wanted. It’s good to feel welcome, comfortable and accepted when you’re about to experience an unfamiliar tradition. 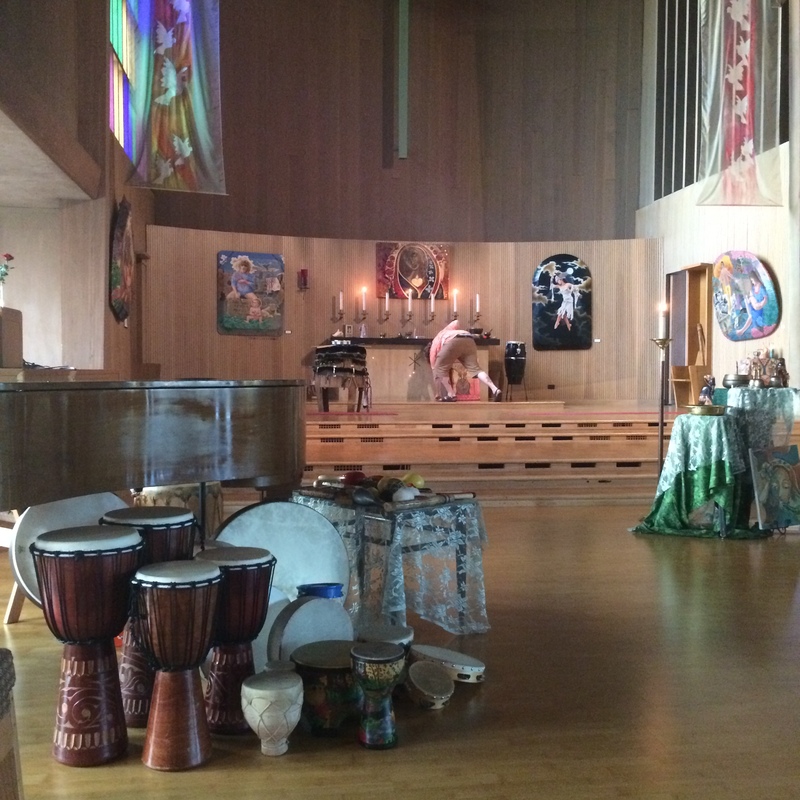 As I made my way through the nave, I noticed icons and statuettes depicting manifestations of the Divine Feminine from all manner of traditions and cultures. There was an altar for the Virgen de Guadalupe, there was an icon of Christ Sophia, images of Mary Magdalene, there were prehistoric images of fertility goddesses, drums, candles, incense, bells and water. The church was dimly lit and as night fell, I found myself completely at peace in this quiet and sacred space. and the celebration among us. Now and for ever. Blessed Be. and in all our dreams/needs. After the first round of the rosary, there was a period of quiet contemplation. Participants visited the different stations to light candles, ring bells and offer incense. Then the rosary was spoken once again. When the service was over, promptly at eight, we gathered in the foyer to eat soup, drink tea and chat. It was a lovely time and I felt warmly welcomed. If I were a local, I would certainly visit again, and again.